There was a time Social Media was an afterthought for brands and organizations. It was something they did to fulfill all righteousness, and in local parlance, ‘feel among’. Budget for the venture usually fell under ‘miscellaneous’. 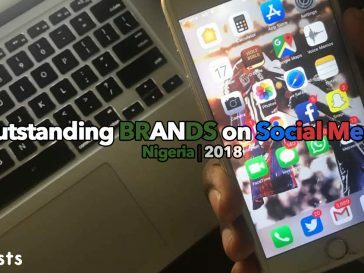 But as Digital Media and Social Media grew globally and locally, brands began to pay more attention, and marketing/communications gave a bigger chunk of their budget to Social Media. These days, Social Media is top strategy for some brands, and takes a huge slice of the marketing/communications budget in many others. 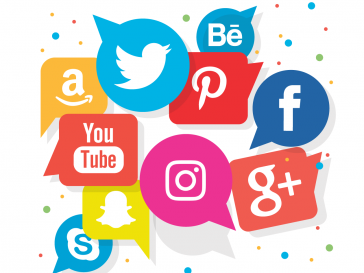 But beyond the big budgets, retainers with agencies and campaigns, some brands stood out on Social Media from the beginning of 2018 till date. While some have broken the bank to create campaigns that have blown our minds, others have applied high-level creativity in their always-on strategy and kept us glued to their pages on a daily basis. We have scoured Social Media, spoken to experts, done surveys and in no particular order, these are the brands that stood out the most in the last one year. Enjoy and share your feedback in the comments. First of all, everyone in the Airtel media and communications team should take a bow. Second of all, everyone in the creative and digital team should take another bow. Third of all, everyone at Airtel should take a bow, because they have been phenomenal in the last couple of years, and they are inarguably the brand that has consistently given us the best visual content off and online. For example, knowing that you do not have 4G coverage in every part of Nigeria but wanting to sell it anyways, what do you do? Tell people that 3G is good, but 4G is better. And so they launched this campaign with hilarious videos like the one below. The grind, the beat-down, the pounding all gets the work done; but life evolves so should we. Upgrade to 4G today to enjoy double data on Nigeria’s widest 4G network. Earlier in the year, they launched The Inlaws series with hilarious skits around a family whose inlaws – from both sides – visited and the squabbles that followed. Most were resolved by devices connected to airtel and the series was an instant hit. In conclusion, Airtel should take a bow. They won. Access Bank has been one of the most consistent financial institutions on Social Media, since Social Media became a big deal. Their always-on strategy includes witty posts and responses that rack up engagement and are reshared on other platforms. 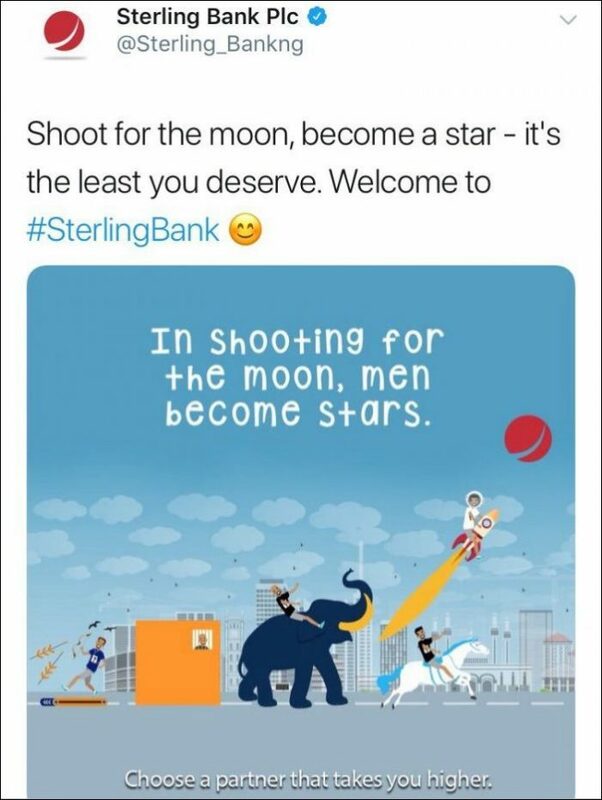 During the infamous Bank Wars that was initiated by Sterling Bank, they dropped arguably the best reply to the Sterling shade. 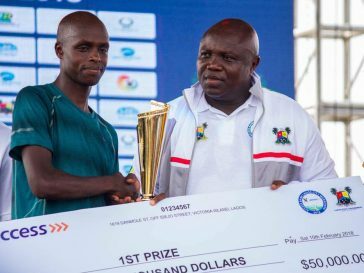 Access Bank has been a sponsor of the Lagos City Marathon since its inception in 2016, and in 2018, they drove Marathon participation via Social Media. The massive campaign had over 100,000 runners and fitness enthusiasts register to participate at the February marathon. The event itself was followed by millions online and on Cable TV, and reports show that over 100 million impressions were created by the bank in a single day. Access Bank also partnered with ace musician DBanj’s CREAM platform, where subscribers won N1million every two weeks. The campaign was social-media led and had thousands of participants. 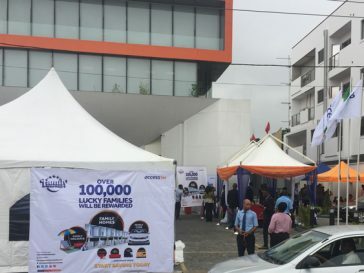 They continued the #FamilyFortunePromo that had tons of families create joint accounts for a chance to win houses, cars and other prizes. They launched Payday Loan to help people get their salaries in advance, and rounded up the year with Born in Africa fest, a massive event that had over 20,000 registered attendees. Access Bank has been consistent on and offline, and that has seen them accomplish a whole lot, including buying Diamond Bank (or merging with them as they like to call it). They launched the consolidation with the #TogetherForYou theme. The launch campaign is educating people about the merger, its (mostly positive) implications, allaying all fears and giving customers confidence that it is for their own benefit that both banks decided to come together. According to the 2019 Influencer Marketing Report compiled by Dotts Media House, Pepsi spent the most on Influencer Marketing in the cycle in view. This is believable considering the scope of the projects they executed in 2018. From the beginning of the year when they co-sponsored Big Brother Naija, they had the contestants wearing their jackets, and people on Social Media joined the conversations using #PepsiJacket. The year continued with a campaign around the 2018 FIFA World Cup. The catch is that Pepsi was not a sponsor of the World Cup and could not outrightly run a campaign around the biggest sporting event in the world. So they created a commercial featuring the biggest names in Nigerian football and Music and launched it with the tag, #NaijaAllTheWay. It was a massive hit. It galvanized people’s love for country and even though a competing brand was World Cup sponsor, #NaijaAllTheWay became the unofficial Super Eagles hashtag for the World Cup. Soon after, Pepsi collaborated with the One Africa Music Fest and after a fierce online contest, took winning fans to Dubai for the always anticipated concert. Pepsi continued their Digital and experiential run with #NoChillDisembaa, a campaign that encouraged people to let their heads down after a long and mostly tough year. It quickly caught on as the brand were co-sponsors of some of the biggest end of year shows. Thank God for life & the successes/progress achieved in 2018. Despite all the challenges we might have experienced, we will still turn up this Disembaa. They have already hit the ground running this year with #PepsiMoreThanOK, a global campaign that features Cardi B, Steve Carell, Lil Jon, etc. They have also partnered with the UEFA Champions League and have launched videos featureing Messi and Mo Salah in a campaign themed #ForTheLoveOfIT. Pepsi really has their Social Media game on lock and it will take 10 absolutely spectacular brands to dislodge them from this list anytime soon. At the beginning of the year 2018, only a few people knew who Babajide Sanwo-Olu was. 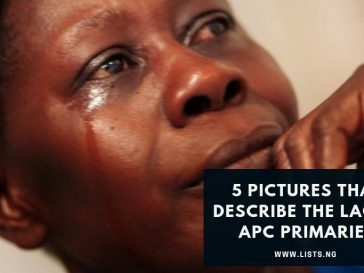 So, when the rumors began that he was the anointed candidate of the APC in Lagos, people scoffed. However, after receiving the blessings of Bola Ahmed Tinubu, the APC leader, the speculations took flight and never slowed down. He went on to win the APC primaries, defeating the incumbent Governor Ambode, and eventually won the Gubernatorial Elections, defeating his closest rival, Jimi Agbaje. How did they do it? Some will say that access to unlimited funds was the only reason Sanwo Olu won. But that will not be totally true. While the importance of deep pockets cannot be overemphasized, the Governor-Elect did plenty of work establishing himself as a candidate deserving of votes. Billboards, roadside lamp posts, curbs, streets, nooks, crannies, everywhere had a Sanwo Olu poster. Then the internet and Social Media caught on, and there were jokes, skits, banter around Sanwo Olu being so present, he is also in our bedrooms, kitchens, dreams, etc.. The jokes did not end, and you know the best part? It was all organic. The candidate leveraged on that and consistently drove conversations on Social Media. He discussed his plans via tweetchats, Instagram and Facebook Lives. He became a mechanic, hair dresser, vulcanizer, basically your everyday man, and everything he did offline was amplified online, giving the impression he was unbeatable. He was a speaker at the annual Social Media week and soon after, a video surfaced where he was having an exchange with a fierce looking non-supporter. His team soon shaped the narrative around the clip to him understanding that not everyone will support him, but emphasizing his willingness to listen to and learn from everyone regardless. That stuck. In January 2018, ‘nobody’ knew Sanwo Olu, but by the end of the year, everyone on Social Media knew who he was, and most concluded he was undefeatable. That is impact. That is why (amongst other reasons) he won Lagos by about 500k votes. That is why he is on this list. A lot of organizations have this stiff attitude on Social Media. They believe that as corporate brands, they should be rigid, so they bring that officiousness to their platforms. But not PiggyBank (now Piggyvest). The PiggyBank handle is like your ‘guy’ on Social Media. Their timeline is friendly, witty, engaging and in summary, a gem. In 2018, they started two interesting series’ – one to #MeetAPiggyBankSaver and the other for people to share their Piggy Bank Stories. The User Generated content created on the #MyPiggyBankStory series served as testimonials from over 2000 actual users of the platform, and the amplification led to even more users getting on board. They soon closed a $1.1M seed funding deal and announced updates to the platform, including a more secure and higher return option to users. They also secured a Micro-Finance bank license and got into the Google Launchpad Accelerator Africa. Their successes continued with a big win at The Future Awards, when their co-founders won tech ‘person’ of the year. @somtoifezue (CEO), @joshchibueze, @odun_eweniyi (co-founders) and the rest of the Piggybank team would like to say a big thank you to all our users for sticking with us in 2018. ‬ It was a big year for us and one of our major highlights was bagging the Future Awards Africa Prize for Technology. Thank you for your unflinching support in 2018, let's do bigger and better in 2019, shall we? Now, how do you end a financially and critically fulfilling year? You party with your customers yeah? Yes. That is what they did as the year came to an end. They invited friends, fans and savers to #PiggyBankFest where everyone was treated to music, food, drinks and games. PiggyBank may not have brought out the big budget like other organizations in this listicle, but their creativity has made them a favorite on Social Media. 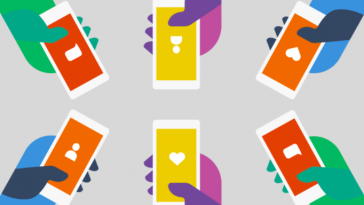 The loyalty they have built amongst their users, and the kind of content they create on Social Media is the reason they have grown in leaps and bounds. To put it in perspective, in the whole of 2017, all Piggybank users put together saved N1billion. In January 2019 alone, they saved that same amount. That is impact. The Coca Cola Social Media activities continued with #ToRussiaWithCoke – a campaign where (if you ignore the double entendre) people actually won all-expense paid trips to the World Cup – amongst other things. #ShareACokeWithOurSuperEagles saw people buying bottles of Coke with images of their favorite Super Eagles players and sharing on Social Media. Then when the World Cup officially began, they launched #NaijaIssaGoal with a jingle featuring Naira Marley, Falz, Olamide, Simi, Lil Kesh and Slimcase. #NaijaIssaGoal was supposed to be the hashtag people used whenever the Super Eagles scored, and they had 3 opportunities to use them: twice when Ahmed Musa scored and once when Victor Moses did. Nigeria’s first round exit basically ended the World Cup campaign, but coke wasn’t done. Why? In Nigeria, mothers are like superheroes and Coke capitalized on that sentiment to launch their 1-liter Mama bottle with the theme #MamaDiMama. 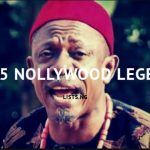 The lead commercial featuring TuFace and his family was the icing on the cake, as it caught on and set social media on fire. They rode that wave till the end of the year, and I daresay they are still riding it till now. Big budget meets deep sentiments. Nice one Coke. Nice one. You know how SUVs are popularly called ‘Jeeps’, and seasoning powder is called ‘Maggi’? That is how electronic cab-hailing services are called Uber. The Behemoth is the SI unit of that industry, and in Nigeria they are a force. Well, until Taxify came into the picture and disrupted that dominance. From crashing fare prices to reducing partner commission to a very effective Social Media strategy, Taxify has managed to own a bigger share of the Nigerian market than the first entrant. 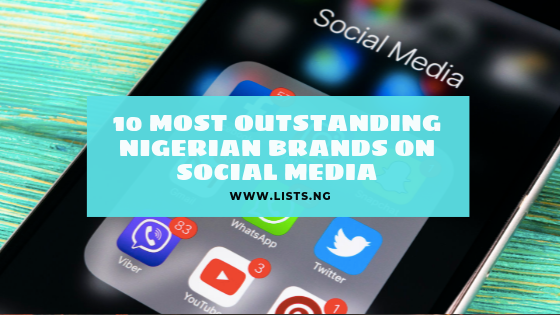 But for this listicle, we are focusing on their Social Media activities. If you have ever signed up with Taxify, then you know Uche – their email persona (who shares the same name with the MD – cheeky laugh). They brought the ‘character’ to ‘life’ in their 2018 Valentine campaign, and had drivers deliver cupcakes to random customers, #FromUcheWithLove. And it was a hit. Too early to throwback? Well it’s Thursday and we are doing that all the same. We wrapped up our Valentine’s Day with Uche surprising an amazing rider in Abuja. Imagine Charles Okocha, Slimcase, Mr Real and Broda Shaggi in football teams. Funny right? Well, Taxify did that. For their #TheGameThatDrivesUs campaign, they created teams led by these celebrities. Teammates were selected online and it all culminated in an actual event where they all came together in a medley of music, comedy and football. It was another hit. 2019 is an election year in Nigeria. To vote, one needs a PVC. How does Taxify come in? Well, they launched a platform to promote the acquisition of PVCs and it is arguably the most socio-conscious things they did in 2018. People basically took a pledge to vote, got a free ride to their PVC center and curated using #MyPVCJourney. We do not have conversion figures, but a lot of people shared their testimonies, showing the campaign was effective. As Taxify spread to other cities in Nigeria (Ibadan and Owerri) and launched each entry with various campaigns, they launched a #BecauseITaxify campaign, and people shared stories of how Taxify has made their lives better. People also won all-expense paid trips to Dubai. Taxify ended an eventful year with the #TaxifyRoofTop party that had riders, drivers, celebrities and others come together for a night of food, music and dance. This year is already looking great for them as they basically broke the Internet with their #ILoveYouBut campaign. They have also rebranded to BOLT and if they continue this trajectory, they just may be on the 2020 list. Fingers Crossed. Without a doubt, Sterling Bank was exceptional on Social Media in the last one year. 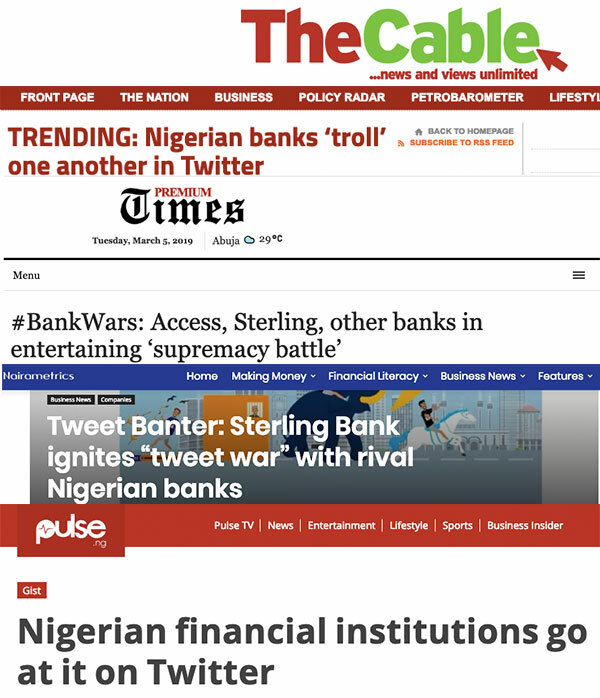 Their Always-On engagement strategy was top-notch but the most interesting thing they did was initiate the viral Bank Wars that, at its zenith, got CBN involved. First they released this tweet with the image throwing shades at GTB, Access Bank, Union Bank and First Bank and basically got the whole nation talking. The ‘senior’ banks responded in kind, but one of them did not find it funny, so they reported to CBN. Sterling Bank soon received a directive from the apex bank to take the post down. They did, but not after receiving plenty accolades from people who found the banter funny. And a ton of earned media. They did not stop there though, they kept on strategically goading the bigger banks, whilst selling to their customers. They changed their logo in a monumental rebrand, and while many rightly pointed out the similarities between their logo and that of GTB, they didn’t get a lot of backlash, because they had become a favorite in the online space. They have now recently started a campaign to have a woman be the main figure on any of the Naira notes, and it has since caught on. Isn't it odd that none of our Naira notes are led by women? women are celebrated by introducing some of our strong female heroes. Way to go, Team Sterling, way to go. King of Beers. That is what they call themselves, and since they made their entry into the Nigerian market in a deal that saw their parent company – AB InBev (x Sab Miller) acquire controlling stake in International Breweries (makers of Trophy, Hero etc. ), one must admit that they have acted like royalty. How did they achieve TOMA (top of mind awareness)? First, they recruited Actor, Musician and Project Fame Winner, Ayoola, and gave him the title ‘Hand Of The King’. He basically broke the Internet with witty Social Videos talking about kingship, royalty, etc. He then asked people to take a King’s test, to find out if they were king enough. Successful applicants were given invitations to a ‘Bud Hotel’. 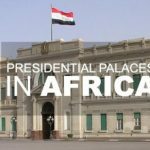 Ayoola then led a cavalcade of exotic vehicles, power-bikes, beautiful models and even a BRT – all painted red – round the city and took over media houses, where he delivered royal packages to OAPs and other celebrities. 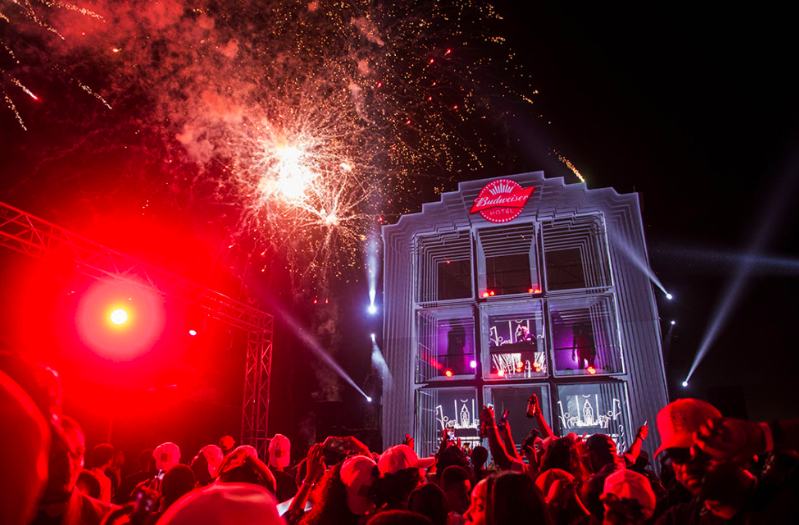 All these culminated in one of the biggest parties of 2018, when on Saturday, 14th of April, Budweiser transformed the popular Landmark Towers to a hotel, and hosted celebrities and those who passed the King’s Test. I don’t know about you, but after building a $250 million factory in Sagamu, pulling all those stunts and breaking the Internet to announce their arrival, one would expect that the brand kills guests with enjoyment on launch day. And everybody who attended swears they did. Guests checked in at the entrance and received a card much like a hotel room key. This card was used to access a Burger Bar, bottles of Budweiser beer as well as other side attractions. For the official countdown to the unveil, Budweiser created an illusion of a hotel using Z-depth visual mapping effect. All these were amplified online, establishing the brand as one for people with style and taste. Having entered the Nigerian space, Budweiser consolidated by picking up exclusive broadcast sponsorship with DSTV. It basically meant that most of those who watched the World Cup from Nigeria (in HD) had Budweiser in their faces. They were global sponsors of the Man of The Match, and people engaged their platforms to choose who they thought stood out in games. The sponsored celebrities like Banky W and Kemi Adetiba to Russia. They opened viewing centers where people could watch the games with celebrities and #LightUpTheWorldCup. They collaborated with Uber to distribute six-packs to customers. And many other activities. After the World Cup, they launched BudX, a platform that celebrates electronic music culture with emerging artists, workshops, DJ master classes, music panels, screenings and more. Events have been held in Lagos and Abuja, uniting fans and artists in a collaborative, creative experience that celebrates the emerging electronic music culture. This year, they have launched a King Stitch campaign, and if they are outstanding as they were in 2018, we will be detailing in 2020. Well done, Bud. When MaxDotNG announced that they were adding a motorcycle hailing service to their business model mid 2017, many people thought the idea was dead on arrival. From the fact that motorbikes were banned on many major roads to the poor safety record of the two-legged machines, the skepticism was plenty. But the founders clarified that the bikes will be 200cc (which means they could ply any road), and assured that with enough training and control measures, the medium will be as safe as any other transport means. Their unique selling point (USP) was that the bikes will get people to their destinations faster, especially when there was plenty traffic which is almost every time in Lagos. And they launched. And they showed proof of concept. And on the 1st of January 2018, they had their first direct competition; another motorcycle hailing platform called Gokada. And soon, Gokada proved that while First Mover Advantage is great, Second Mover Advantage can be even better. 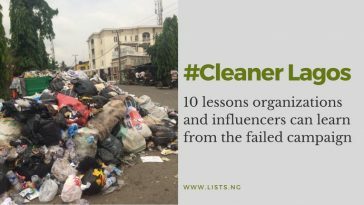 First they acquired 20 bikes, recruited some of the top micro influencers on Social Media and had them promote conversations around #MoveWithTheNew. These micro-influencers were also made to use the service, and this basically launched Gokada into our consciousness. By the second month of their existence people were sharing ‘#MyGokadaExperience’ on Social Media, and as it spread, and as they spread to the Island, Gokada became the SI unit of the Okada-Hailing model, relegating the first mover to the background. So far, the Gokada always-on strategy has been fantastic. They know that the major fear people have using bikes is safety, so they have made ‘safety first’ a core message. 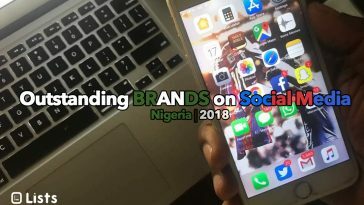 They collaborated with the popular Mainland Block Party to increase TOMA, constantly did giveaways on their platforms, joined an awareness walk against domestic violence, recruited more micro and celebrity influencers, did an icon search contest for National Youth Service Corpers, disrupted the Techcrunch Battlefield while MaxDotNG was pitching, etc. As they spread their tentacles online, they also expanded offline, increasing the number of Green-Branded bikes and helmets on the roads so more people got to know and use them. Have you seen their page? Have you seen how they leverage on trending conversations? Did you see how they launched their Performa range? I know you’re all virgins but you should pay attention to them, if you’re not already. Dano actually broke a world record. Watch HERE. Anny Roberts is so good at selling his photography on Social Media, the only thing people wonder is if they can afford him, because everybody wants him to shoot them. Are you really Nigerian if you do not call every cube seasoning Maggi? They may be an old brand, but they did not come to play with anyone in 2018. From the Naija Pot to their #SheMakesADifference that had that ad that stirred some controversy, they had a good year. The once-upon-a-time behemoth has been making efforts to return to Nigeria and last year, they did quite a lot. From sponsoring the BBN to promoting the #IconicDuo – #NokiaMobileOnAndroid, they made impact. 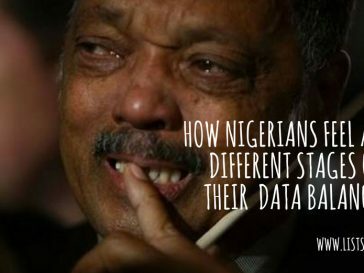 Nigeria’s biggest mobile telecoms network may not have blown our minds on Social Media like previous years, but they made so much impact, they are here. 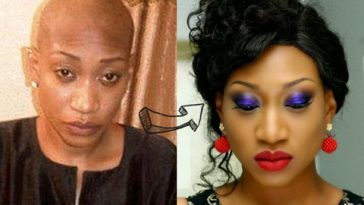 Oje we ke eng? Indomie has been top of mind since we were kids, and they have remained so till date. No other food brand has their consistency on and offline. Everybody drinks water. It is not a question of love or hate, we all need water. But H20h decided to launch by saying ‘water is gonna be jealous’, created visuals with Ebuka and Adesua Etomi, and established themselves in our consciousness. And did they succeed? Absolutely. We stan. Union Bank had a fantastic year. From being that ‘papa and mama’ bank, they have successfully rebranded to a simpler-smarter-bank and their social media activities have been impressive. From the #EnablingSuccess campaign led by that amazing video to #Edu360 to their #CampusWritingChallenge for college students, they had a superb 2018. Others are Waneka Hair (who sells more hair than them online? ), OfadaBoy, TeaRoom (everybody wants to take a photo there now), etc. Did we miss any brand? Share in the comment section.